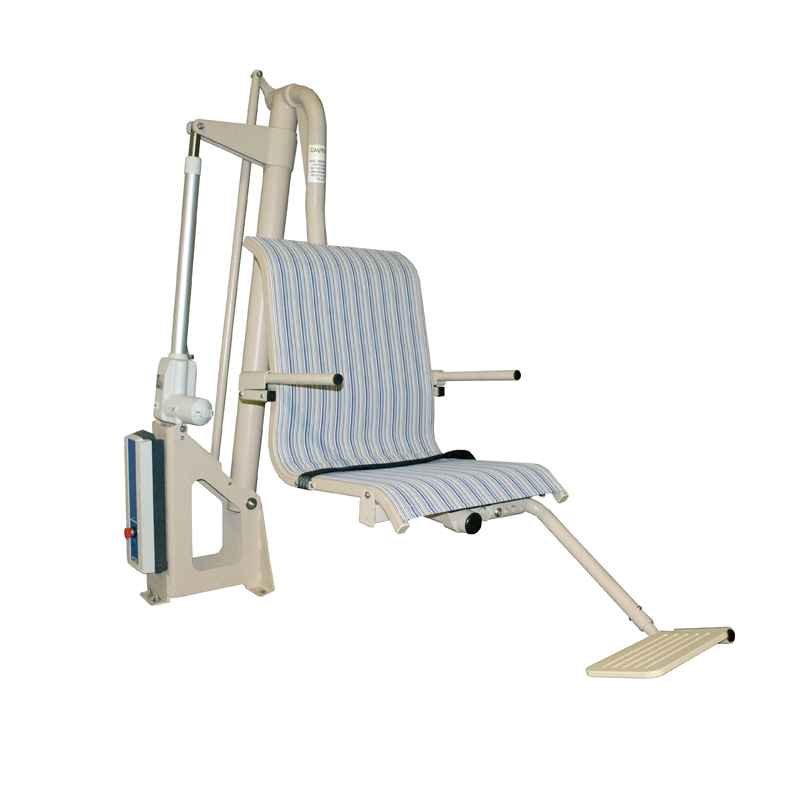 The Pool Lift from AmeriGlide is comfortable and easy to use. 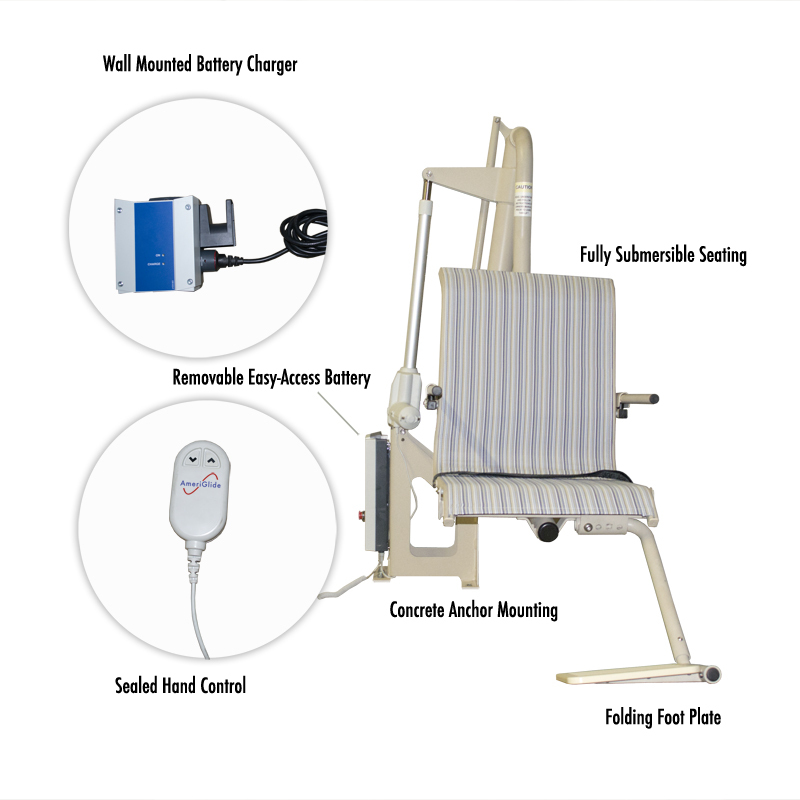 It's a great solution for those who have trouble getting into and out of the pools, and for organizations who need to be ADA compliant. 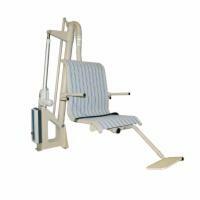 The seat is a comfortable sling seat and comes with foldable arm rests and foot plate, providing more stability and comfort. 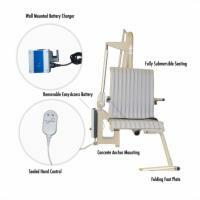 The simple sealed hand control lets the swimmer control the lift from the seat, lowering it to as much as 26". It is secured to the deck by the 6" concrete anchor, and the stainless steel tubing slides off to store easily when pool season is over.